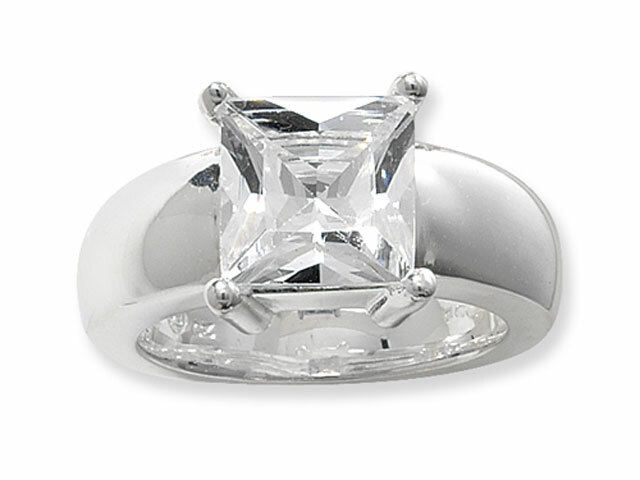 Esse Collection Cubic Zirconia & Sterling Silver Stylish Ring A stylish sterling silver and Cubic zirconia ladies ring design from the Esse Collection. The hallmarked sterling silver ring band, features a square cut cubic zirconia set in the centre of the ring band. 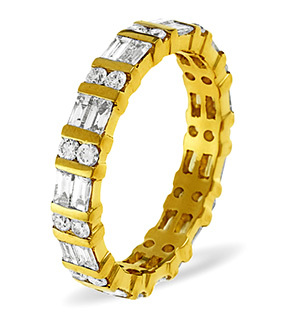 The glistening cubic zirconia and gleaming silver band are the perfect stylish ring design. RHAPSODY Ceylon Blue Sapphire (1.25 Ct) and Diamond 950 Platinum Ring 2.000 Ct.